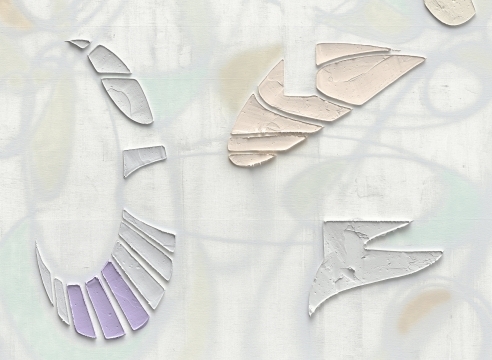 Suite of 14 works, each: 40 by 26 in. 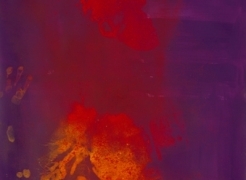 101.6 by 66 cm. 80 1/8 by 60 in. 203.5 by 152.4 cm. 72 by 60 1/8 in. 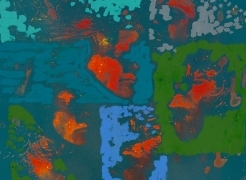 182.9 by 152.7 cm. 96 by 77 1/8 in. 243.8 by 195.9 cm. 40 1/4 by 35 1/8 in. 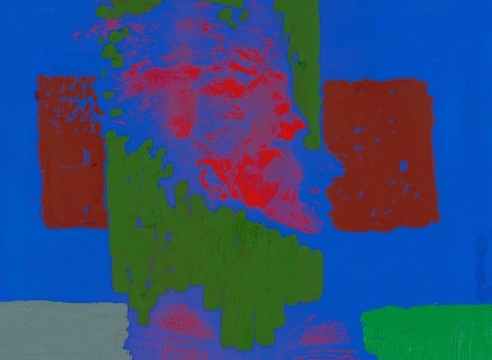 102.2 by 89.2 cm. 40 1/2 by 26 in. 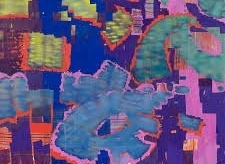 102.9 by 66 cm. 51 3/4 by 69 5/8 in. 131.4 by 176.8 cm. 96 by 130 in. 243.8 by 330.2 cm. 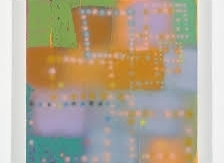 90 by 80 in. 228.6 by 203.2 cm. 80 by 80 in. 203.2 by 203.2 cm. 40 by 35 in. 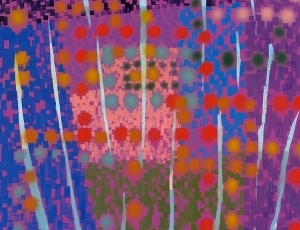 101.6 by 88.9 cm. 30 by 22 3/8 in. 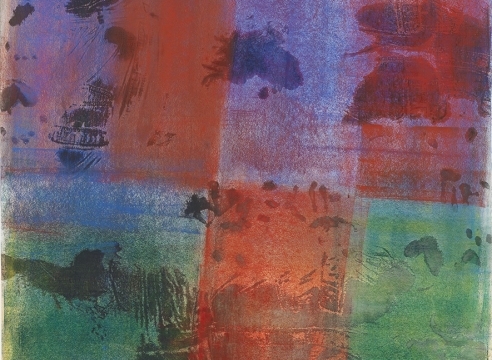 76.2 by 56.8 cm. 49 1/2 by 52 in. 125.7 by 132.1 cm. 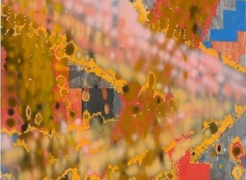 Keltie Ferris is known for her mostly large-scale canvases covered with layers of spray paint and hand-painted geometric fields. 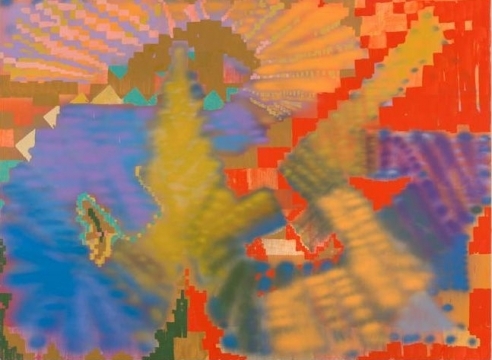 Ferris’s pixilated backgrounds and atmospheric foregrounds create perceptual depth that allows for multidimensional readings of her work. 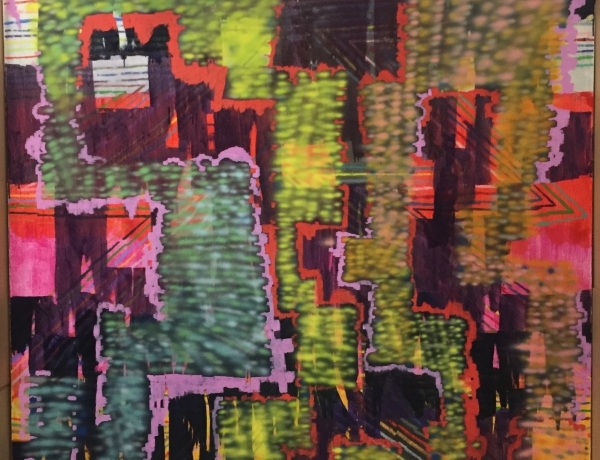 Characterized by a continuously expanding investigation into painting, her practice considers a multiplanar site for constructed light and shifting space. 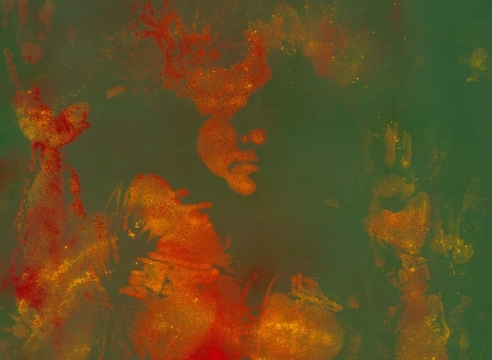 In her ongoing series of body prints, Ferris uses her own body like a brush, covering it with natural oils and pigments and pressing it against a canvas, to literalize the relationship of an artists’ identity to the work that he or she produces. 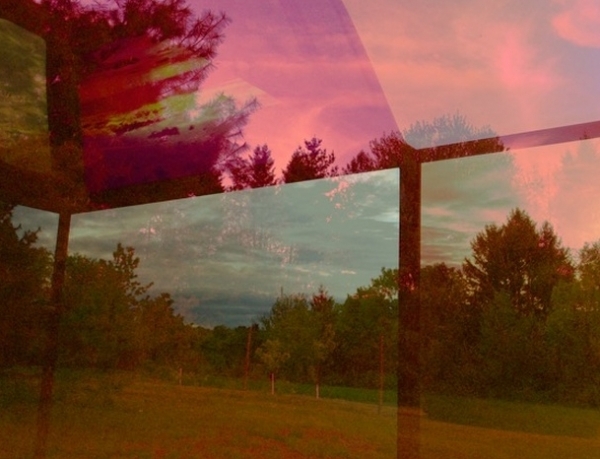 All images © Keltie Ferris. 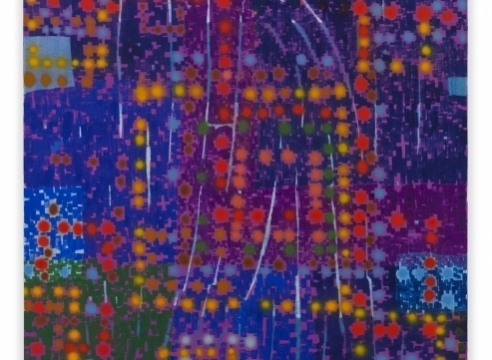 The Speed Art Museum presents a solo exhibition of paintings and works on paper by Keltie Ferris. 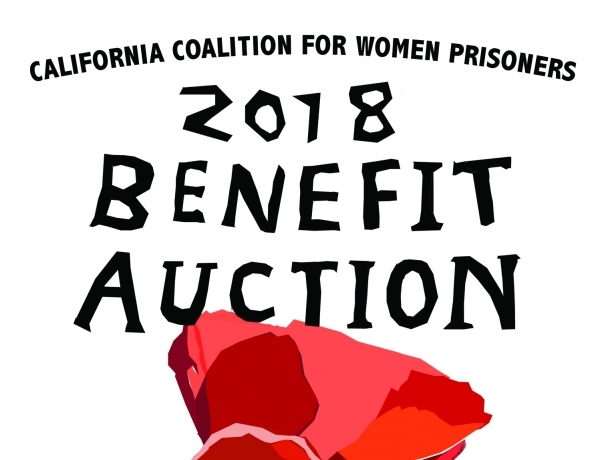 Bid on a work on paper Keltie Ferris in the California Coalition for Women Prisoners 2018 Benefit Auction August 15 through August 29, 2018. 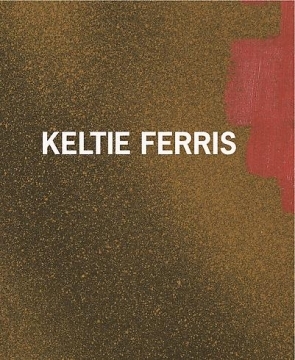 Keltie Ferris is featured in a solo exhibition at Klemm's Berlin. 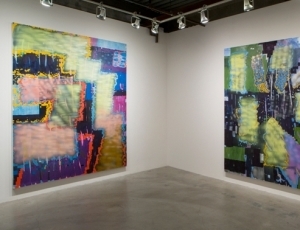 Built up in layers of spray gun washes and palette knife zips, these fresh and original large-scale abstractions reference textiles, graffiti, and modernist painting through a pixilated haze of neon, dark night tones, and tempered pastels. 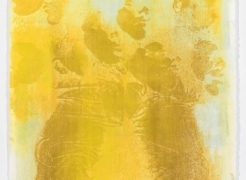 The body prints are an extension of this layered approach to image-making. 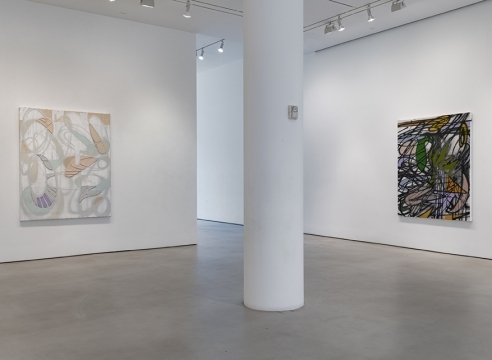 On the occasion of Frank Stella: A Retrospective, this roundtable discussion with artists Walead Beshty, Keltie Ferris, Jordan Kantor, and Sarah Morris explores key aspects of Stella’s heterogeneous approach to painting and its significance for younger generations of artists working today. 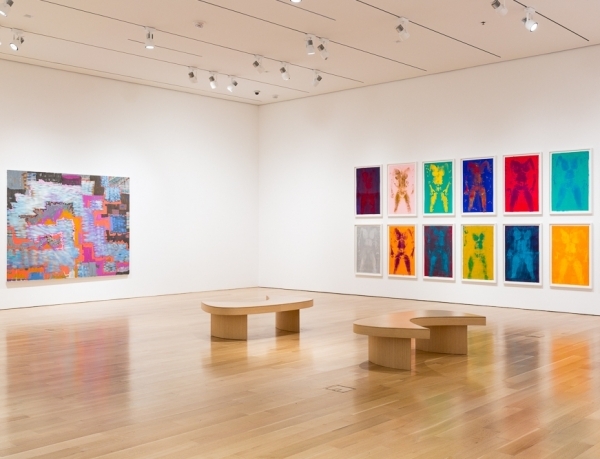 Doomsday Boogie includes several of Ferris’s large-scale paintings, along with a series of thin vertical paintings—physical realizations of the zips that originated in Barnett Newman’s abstract expressionist work. 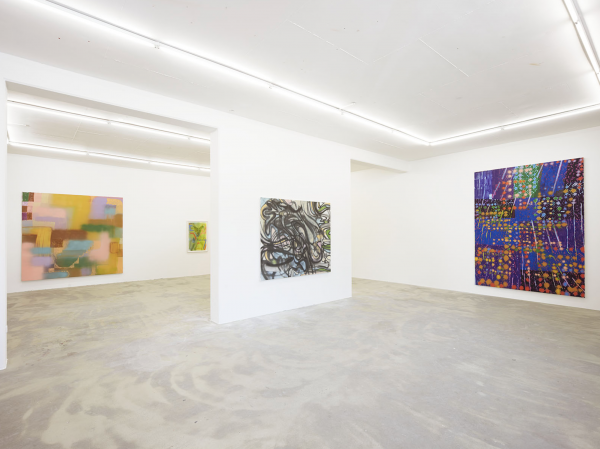 In the fall of 2015, myself and my then-partner were bobbing through Chelsea for the perfunctory NYC gallery hop. Driven by that pretentious, guileless swagger of recent art school graduates, we were anxious to consume. Consume what? It’s difficult to explain that insatiable hunger. 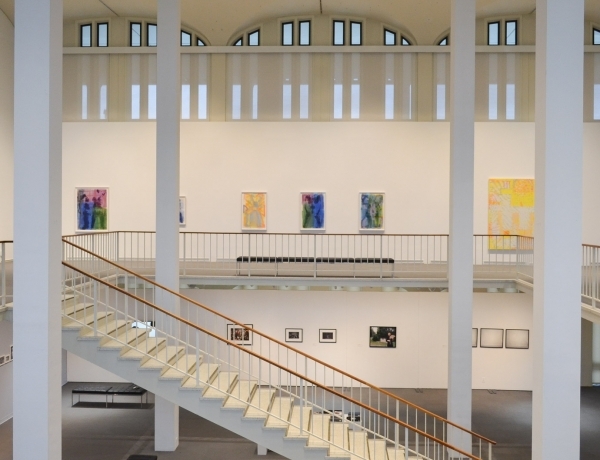 A hunger for that glimmer of a swoon, that seraphic electricity that certain artworks can inspire—in other words, that bombastic and elusive sense of meaning. 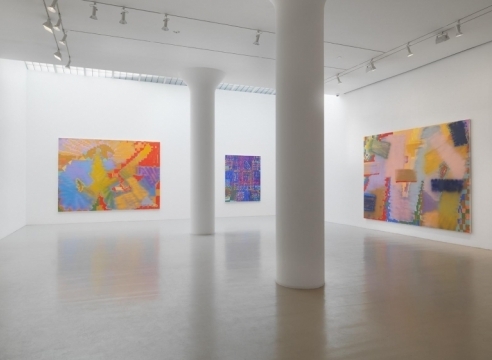 My partner, an abstract painter herself and a devout planner, had prepared a hefty itinerary beginning with Ferris’ show at Mitchell-Innes & Nash. 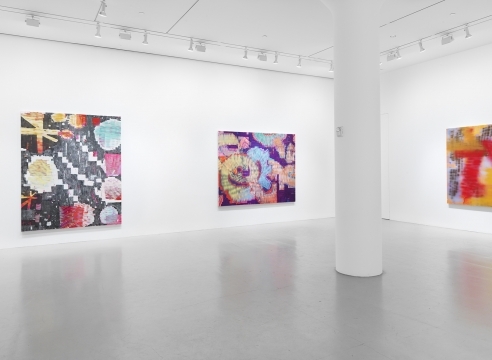 On the ocassion of her first East Coast museum solo, Brooklyn-based Keltie Ferris discusses her quest to produce "autonomous" body prints and abstract paintings-- exuberantly colorful works deteremined by their own formal dynamics rather than theory, market trends or aesthetic fashion. 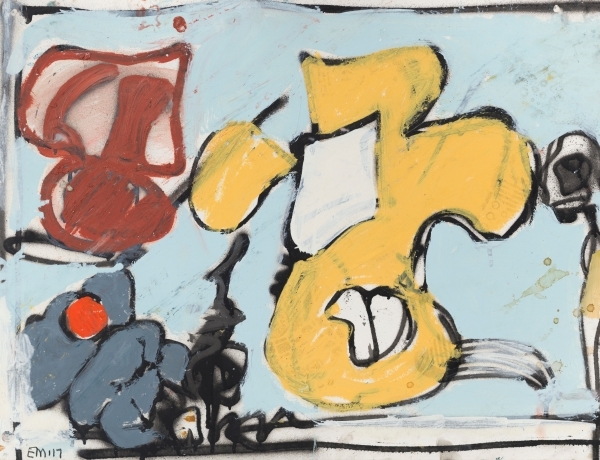 Until recently, the best way to prove you were a serious painter was to paint unseriously: mocking the medium, the way Polke or Kippenberger did, proved that you knew the rules of the game. That moment has passed. 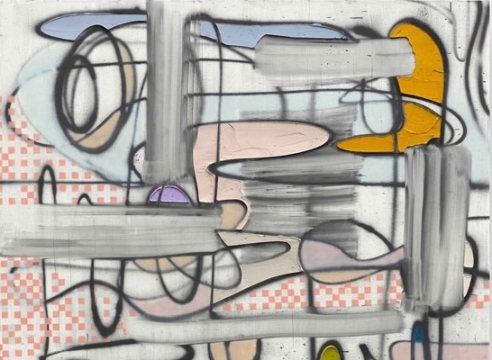 This bravura show by a leading figure of the new-new painting finds Ferris deploying an arsenal of techniques, from spray guns to impressions of her own body, in riotous soft-edged compositions. 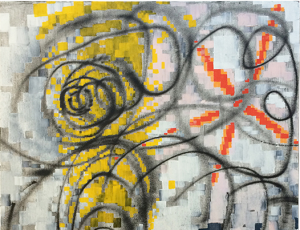 She eschews Ab-Ex mark-making for nongestural layers of color, airy mauve or honking goldenrod, interrupted at times by flowing circuits broken into patterns suggestive of pixels. 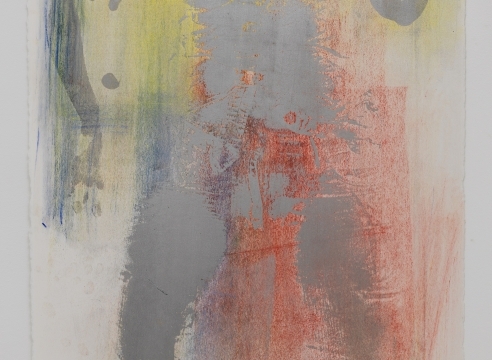 This is the work of an artist who isn’t afraid to tell painting “I love you.” Through Oct. 17. 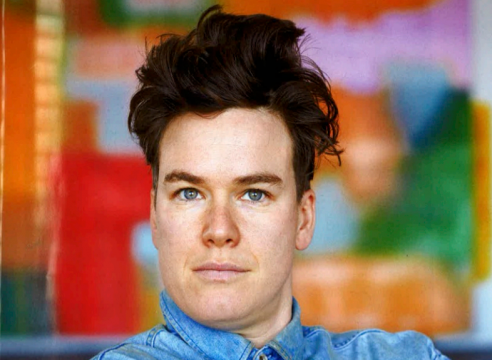 About eight years ago Keltie Ferris burst onto the New York painting scene like a bat out of hell, that is, if you define hell as the Yale M.F.A. 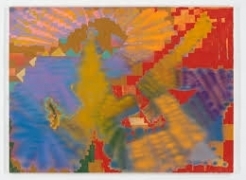 painting program; back then, her large Day-Glo-colored canvases were perfect crosses between hazy 1970s Color Field painting, pixilated digital space breaking up and reforming in odd-shaped plates, and painterly abstraction at the same time totally avoiding any derivative overlap with artists like Kelly Walker or Gerhard Richter. 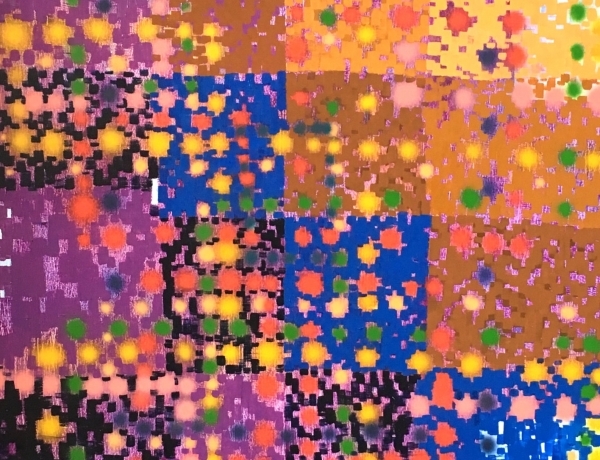 Keltie Ferris is known for large paintings that lap, layer upon layer, into glimmering pictorial spaces; like her, they are utterly debonair. 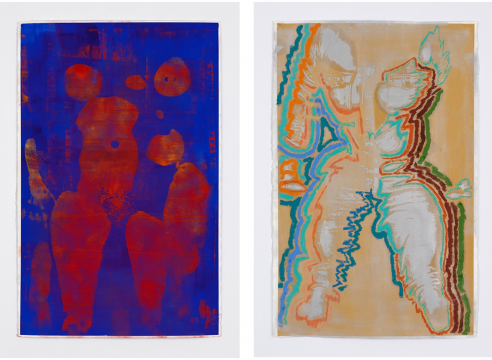 Last month she debuted Body Prints at Chapter NY, surprising new works which, as the title suggests, are impressions of her body on paper. 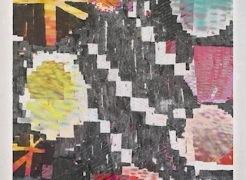 Ferris’s paintings can also be seen in the 2014 Invitational Exhibition of Visual Arts at the American Academy of Arts and Letters (March 6 – April 12) where she received the Rosenthal Family Foundation Award in painting. 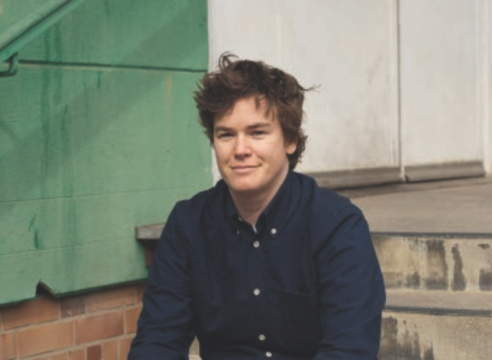 She met with Jarrett Earnest in her studio to discuss bodies, abstraction, and color-feelings over beer and mint tea, respectively. 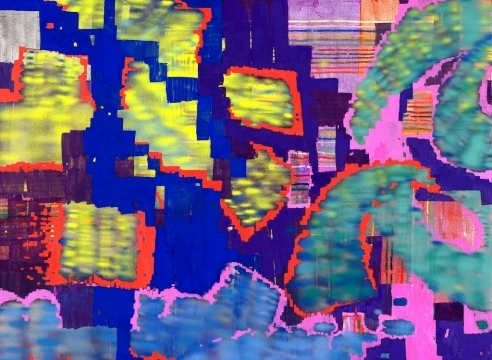 The most noticeable, and therefore notable, features of Keltie Ferris’s well-lavished paintings are their two most immediate strata: Ferris finishes off her large-scale abstractions with arrays of spray-painted dots and dashes and then returns with a brush loaded with a higher-intensity, contrasting color to lay down short, chunky strokes tightly packed in vertical, parallel arrangements around the previous layer. 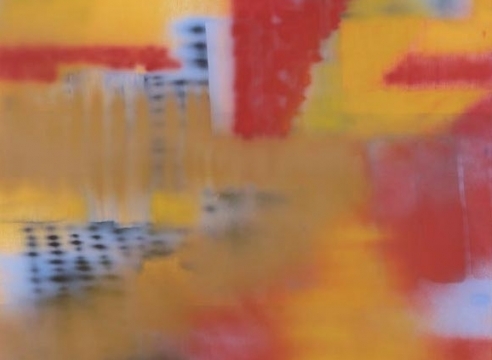 One of the more difficult tasks for younger artists is to make abstract painting genuinely new—that is, sincerely and intelligently felt instead of performed (as with too much geometric work) or blurted out (as with too much AbEx-redux brushwork) like a rant in a family argument. 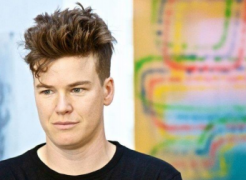 Keltie Ferris, a 35-year-old painter born in Kentucky, educated at Yale's art school and now living in Brooklyn, has followed a not uncommon path. Uncommonly, she's managed to come up with something fairly fresh. 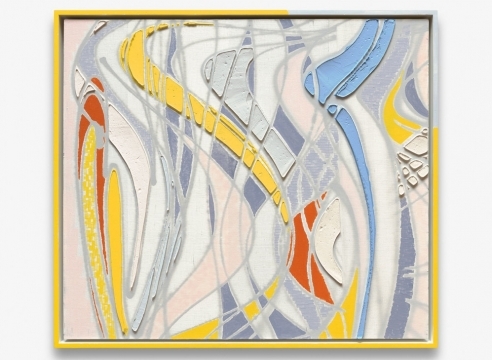 At some point while I was walking around the spacious exhibition space of Mitchell-Innes & Nash, it struck me that Keltie Ferris’s paintings no longer seemed to be making obvious allusions to Joan Mitchell, Frank Stella, and Piet Mondrian. 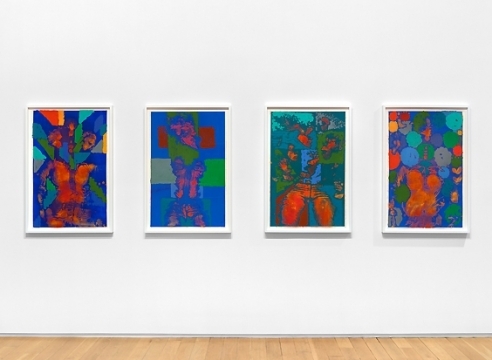 This may have been due to the order in which I looked at the paintings, but as I went from one to the next I could sense her increasing confidence. 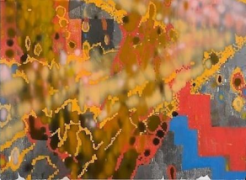 Picture Monet’s garden as a graffiti-tagged plot in Bushwick and you get some sense of the grit, bravado, and beauty of these big abstract paintings made of oil, spray paint, and pastel. 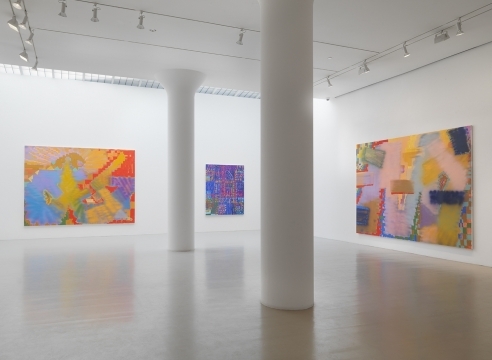 Keltie Ferris’s big, scintillating paintings recall a time a half-century ago when the introduction of a new style in abstract painting could be regarded as an event of seismic significance. 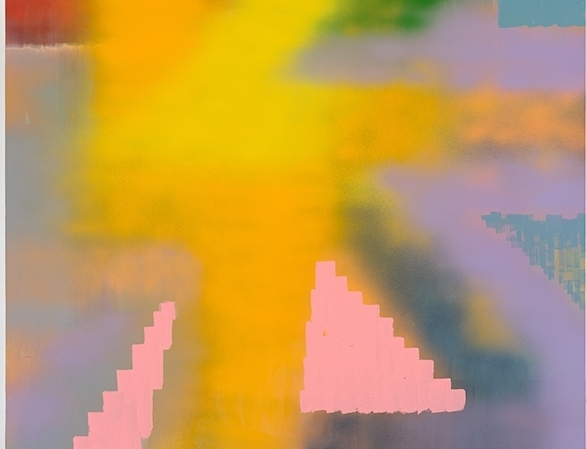 "Sometimes I think of my paintings as people," says the Brooklyn-based artist Keltie Ferris, whose solo show runs Nov. 29–Jan. 12 at Mitchell-Innes & Nash in New York. 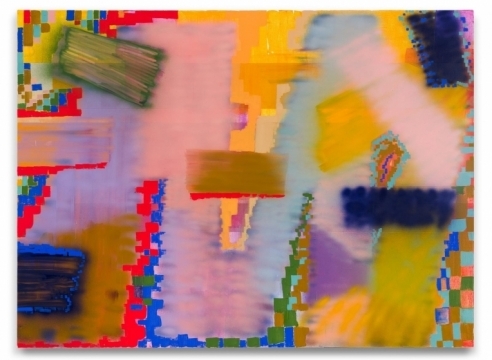 Keltie Ferris paints with her own kind of well-informed vengeance, and it gives her abstractions a taut, slightly hard-bitten decorative verve. 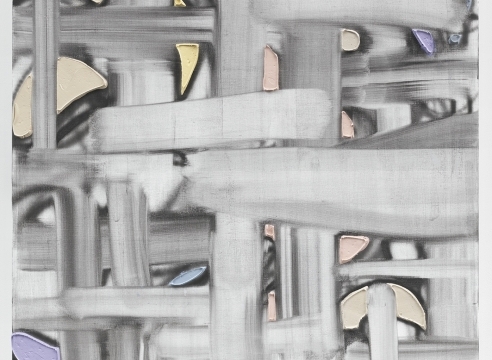 Painting is certainly not 'all dead' (see The Princess Bride). If we run with the analogy of its being mostly dead, its hope for resuscitation and direction is definitely through recontextualisation. 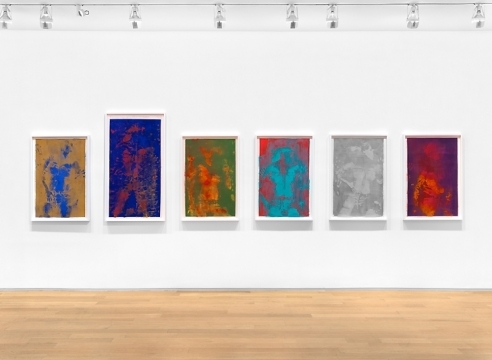 He-She, 2010, by 32-year-old Louisville-born, Brooklyn-based artist Keltie Ferris dominates the stand of Horton Gallery (Sunday L.E.S.) (P94/750/850). 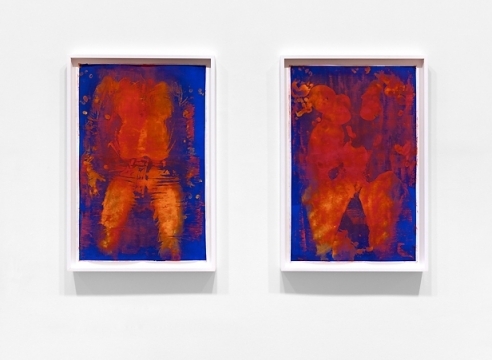 Keltie Ferris--a 2006 Yale MFA who participated in the height-of-the-market, art-department-raiding exhibition "School Days" at Jack Tilton Gallery in 2006--has a lot of good ideas, even if they're not all fully developed yet. 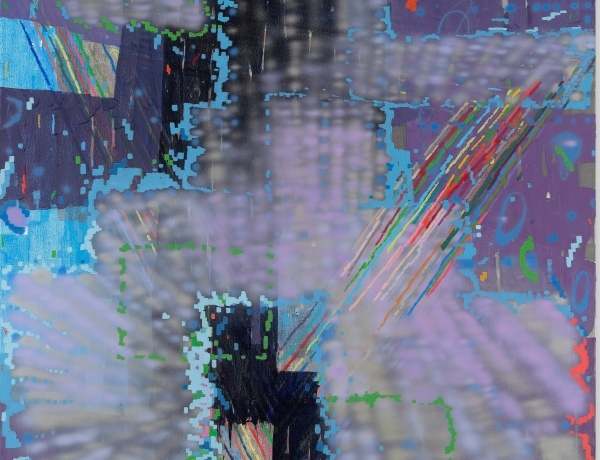 Armed with a palette knife and a spray gun, Keltie Ferris grapples with the idiom of gestrual abstraction in her first New York solo show, "Dear Sir or Madam."